Here are some helpful tools for teens and young adults. By reviewing these resources you can learn the importance of saving and planning, how to balance your checkbook, and more! Helping your Child prepare for college? 1. Take a good look at your savings. How much have you saved? 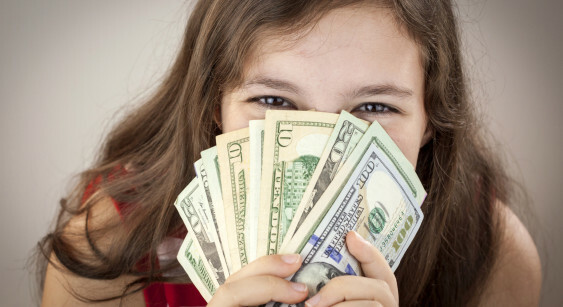 Are you making monthly contributions to an Education Savings Plan? Is there any room to increase your savings? For more information about Coverdell ESA accounts contact PGAFCU’s member service representative. 2. Familiarize yourself with Financial Aid. You and your child will need to fill out the Free Application for Federal Student Aid or, FAFSA. The FAFSA looks at your family’s income, assets, and other information to come to the figure called the Expected Family Contribution (EFC). This is the amount the government deems you can afford to pay each year. Visit www.fafsa.ed.gov for all of your financial aid questions. 3. Research high school and community scholarships. Scholarships usually require a little bit of effort on your teenagers part, but this free money can definitely help towards college expenses. For example, each year PGAFCU offers an annual college scholarship to high school seniors headed to college and existing college students enrolled in at least 12 credit hours. The applications are available in January at each of our branches or online, and are due the first Monday in March. Your teen must have an account with PGAFCU so if they don’t, give us a call at 1-800-831-3916 for more information. It is important to talk with a high school student-counselor to get information about scholarship opportunities available. 4. Research Student Loans. Although they are similar, not all college loans are created equal. Do your research to ensure you are getting the best rates possible. Just for being a member of our credit union, your teen may qualify for the Smart Option Student Loan by Sallie Mae by visiting http://www.salliemae.com/smartoption/pgafcu. 5. Research colleges wisely. You want to look at the geographic region, setting, size, and cost. Have your teen develop a list of colleges that are a good match to their academic skills and their interests. Also look at your child’s Grade Point Average (GPA), class rank, and SAT/ACT scores. These are helpful numbers to review while applying for scholarships also. 6. Talk to your teen. It is important to set their expectations in terms they will understand clearly. When it comes to talks about tuition make sure you break down figures into monthly payments so that they have an idea of what you/they will be paying. Talk to them about their grades. They need to maintain a certain GPA to get into certain colleges. Teens need to understand that they have to be serious about their academics to make the college cost worth everyone’s while.